Dutch politician and historian, was born at Voorburg, near The Hague, on the 21st of August 1801. He studied at Leiden University, and graduated in 1823 both as doctor of literature and LL.D. From 1829 to 1833 he acted as secretary to King William I of Holland, afterwards took a prominent part in Dutch home politics, and gradually became the leader of the so-called Anti-Revolutionary Party, both in the Second Chamber, of which he was for many years a member, and outside. In Groen the doctrines of Guizot and Stahl found an eloquent exponent. They permeate his controversial and political writings and historical studies, of which his Handbook of Dutch History (in Dutch) and Maurice et Barnevelt (in French, 1875, a criticism of Motley's Life of Van Olden-Barnevelt) are the principal. Groen was violently opposed to Thorbecke, whose principles he denounced as ungodly and revolutionary. Although he lived to see these principles triumph, he never ceased to oppose them until his death, which occurred at the Hague on the 19th of May 1876. He is best known as the editor of the Archives et Correspondance de la Maison d'Orange (12 vols., 1835-1845), a great work of patient erudition, which procured for him the title of the Dutch Gachard. J. L. Motley acknowledges his indebtedness to Groens Archives in the preface to his Rise of the Dutch Republic, at a time when the American historian had not yet made the acquaintance of King Williams archivist, and also bore emphatic testimony to Groen's worth as a writer of history in the correspondence published after his death. At the first reception, in 1858, of Motley at the royal palace at the Hague, the king presented him with a copy of Groen's Archives as a token of appreciation and admiration of the work done by the worthy vindicator of William I, prince of Orange. This copy, bearing the kings autograph inscription, afterwards came into the possession of Sir William Vernon Harcourt, Motley's son-in-law. Gerrit J. Schutte 2016 Groen van Prinsterer: His Life and Work. Translated by Harry Van Dyke. Neerlandia, Alberta: Inheritance Puiblications. Schlebusch, Jan Adriaan 2018. Strategic Narratives Groen van Prinsterer as Nineteenth-Century Statesman-Historian. PhD thesis. University of Groningen. 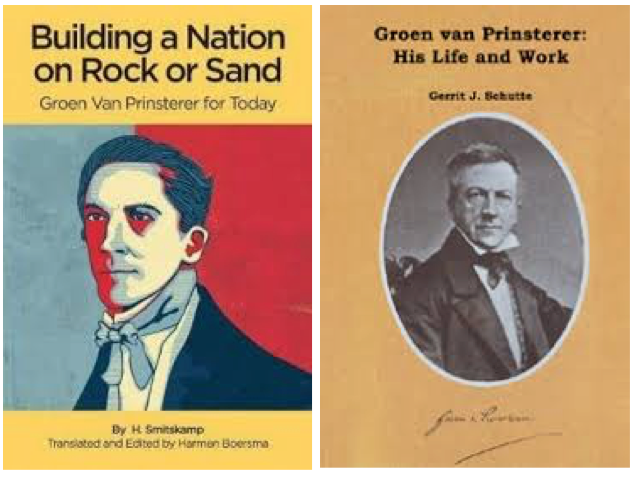 This outline of Christian political action was written by the nineteenth-century pioneer of the genre, the Dutchman Guillaume Groen van Prinsterer. Groen not only developed a political philosophy based solidly in Reformation truths but he also formed a political party to bring those truths to bear in the political forum of his day. Then, as now, the battle was against the Revolution: ?the invasion of the human mind by the doctrine of the absolute sovereignty of man, thus making him the source and centre of all truth, by substituting human reason and human will for divine revelation and divine law.? It is ?the history of the irreligious philosophy of the past century; it is, in its origin and outworking, the doctrine that-given free rein-destroys church and state, society and family, produces disorder without ever establishing liberty or restoring moral order, and, in religion, inevitably leads its conscientious followers into atheism and despair.? Against the Revolution there is only one antidote: the Gospel. To proclaim and elaborate this truth was Groen van Prinsterer?s life work. This volume - never before published in English - is an adept summary of it. 1832 Writes to Minister pointing out the inherent injustice of the Education Act. 1861 Publishes the French tract The Anti- Revolutionary and Confessional Party in the Reformed Church of the Netherlands. 1872 Kuyper begins De Standaard. Groen had contributed 3000 guilders towards the set up. 1876 19 May death. Buried in Ter Navolging cemetery. De Vries, T Mr G. Groen van Prinsterer: Een bibliographie Utrecht: Wentzel, 1908. Zwaan, Jan Groen van Prinsterer en de klassieke oudheid Amsterdam: Hakkert, 1973. 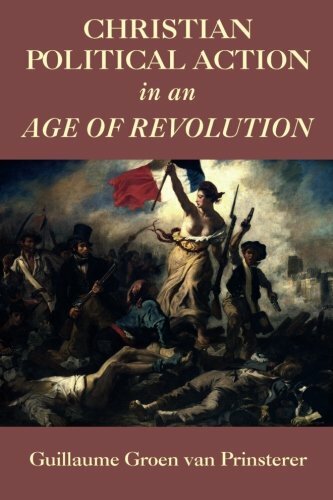 Unbelief and revolution: A series of Lectures in History. Spanish translation: Incredulidad y Revolución, translated and edited, with an introduction, by Adolfo García de la Sienra (Xalapa: Fábrica de Ideas, 2010). Essen, J. L. van. ?Guillaume Groen van Prinsterer and His Conception of History.? Westminster Theological Journal 44 (1982): 205?49. Essen, J. L. van, and Morton, H. Donald. Guillaume Groen van Prinsterer: Selected Studies. Jordan Station, ON: Wedge, 1990. This collection contains the title mentioned immediately above, plus three other essays. On Groen?s struggle for Christian education as well as a special essay on Groen?s prose style. Hall, David W. Guillaume Groen van Prinsterer: political paradigm from the West. Hospers, G. H. ?Groen van Prinsterer and His Book Ongeloof en Revolutie.? Evangelical Quarterly 7 (1935): 267?86. Klapwijk, Jacob. ?Calvin and Neo-Calvinism on Non-Christian Philosophy.? Philosophia Reformata 38 (1973): 43?61, at 49?51. Kuiper, Dirk Theodoor. "Groen and Kuyper on the racial issue." Kuyper Reconsidered: Aspects of his life and work. C van der Kooi and J. de Brujin (ed). VU Stuides on Protestant History Vol 3. Amsterdam: VU, 1999, ch. 5. Langley, McKendree R. ?Pioneers of Christian Politics I.? Vanguard (April 1971): 7?9. ???. What Does It Mean to Be a Christian in the World?? The Presbyterian Guardian (Jan. 1976): 8?13. ???. ?The Witness of a World View.? Pro Rege 8.2 (1979): 2?11. ???. ?The Legacy of Groen van Prinsterer.? Reformed Perspective (Jan.1985): 25?28. Pall Mall Gazette, 27 April 1867, pp. 4ff. discusses the implications of the first of Groen?s pamphlets of 1867, La Prusse et les Pays-Bas. Herman, Paul, "Guillaume Groen van Prinsterer: A Critical Reappraisal," Fides et Historia 36.2 (Summer/Fall 2004): 67?82. Runner, H. Evan. Scriptural Religion and Political Task. Toronto: Wedge, 1974. Pp. 89?99. Sap, John W. Paving the Way for Revolution: Calvinism and the Struggle for a Democratic Constitutional State. Amsterdam: VU Uitgeverij, 2001. Pp. 289?302. Schutte, Gerri J. Groen van Prinsterer: His Life and Work translated by Harry Van Dyke. Publisher's Imprint, 2005. Taylor, E. L. Hebden. The Christian Philosophy of Law, Politics and the State. N.d. Pp. 18?42, 238. Van Dyke, Harry. Groen van Prinsterer?s Lectures on Unbelief and Revolution. Jordan Station, ON: Wedge, 1989. Contains a translation (abridged) of Unbelief and Revolution at pp. 293?539 as well as a sketch of Groen?s life and time at pp. 1?83. Zylstra, Bernard. ?Voegelin on Unbelief and Revolution.? Anti-Revolutionaire Staatkunde 46 (1976): 155?65. Reprinted in C. Bremmer and M. G. Kool, eds., Een Staatsman ter navolging: Groen van Prinsterer herdacht (1876?1976). The Hague, 1976. Pp. 191?200. Archives de la Maison d'Orange-Nassau, 1835-1861. ?Prolégomènes.? In Archives ou correspondance inédite de la maison d?Orange-Nassau. Series I: 9 vols. ; Leyden, 1835?47; Series II: 5 vols. ; Utrecht, 1857?61. These are lengthy introductions to the published correspondence in which Groen gives his own interpretation of the historical significance of the letters and the times they were written. Le parti anti-révolutionnaire et confesionnel dans l?Eglise Reformée des Pays-Bas. Etude d?histoire contemporaine. Amsterdam, 1860. La Hollande et l?influence de Calvin. Amsterdam, 1864. La Hollande et l'influence de Calvin. Amsterdam, 1864. La nationalité religieuse en rapport avec la Hollande et l?Alliance Evangélique. Amsterdam, 1867. Reprinted in M. Cohen Stuart (see below), 47?51. La Prusse et les Pays-Bas; à mes amis de Berlin. Amsterdam, 1867. L?Empire prussien et l?Apocalypse; à mes amis de Berlin. Amsterdam, 1867. Maurice et Barnevelt. Etude historique. Utrecht, 1875. Albert Reville. ?Monsieur G. Groen van Prinsterer.? Revue des Deux Mondes 46 (1876): 478?80. M. Cohen Stuart. In memoriam Guillaume Groen van Prinsterer: Notice biographique. Utrecht, 1876. J. C. Versluys. ?Lamennais et Groen van Prinsterer.? Neophilologus 17 (1932): 8?17. Brief comments from George Edmundson's History of Holland.